A number of Egyptian gods are portrayed as falcon-headed humans, making it difficult to identify those without distinguishing crowns. 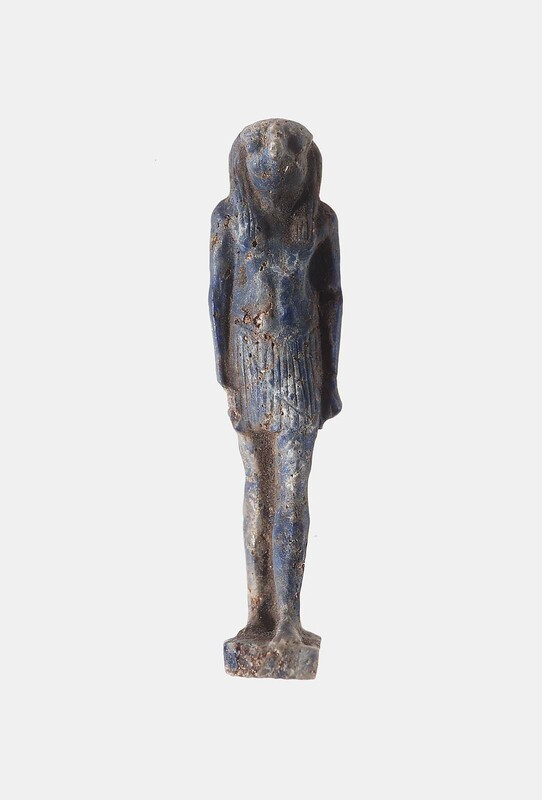 However, the funerary function of certain Late Period amulets makes an identification as Horus likely. This amulet made of lapis lazuli is one such amulet. A hole in the back allowed for suspension on a cord. From Giza, G 7652 A, room IV. 1929: excavated by the Harvard University–Boston Museum of Fine Arts Expedition; assigned to the MFA in the division of finds by the government of Egypt.